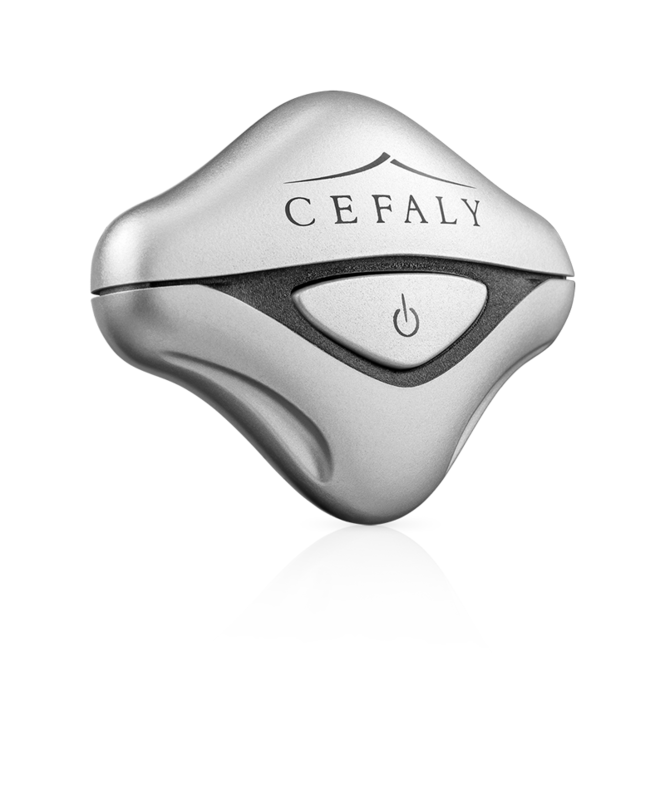 Cefaly offers the best safety efficacy ratio compared to current anti-migraine oral medication. It is the first line treatment for patients having frequent migraine attacks. Cefaly enables the use of medicines to be significantly reduced and the sufferer’s quality of life to be dramatically improved. Cefaly can overcome the crippling effect migraines have on your life . Cefaly has been approved by the FDA and is clinicaly proven. Cefaly is an External Trigeminal Nerve Stimulator (e-TNS). An adhesive electrode is placed on the forehead and the Cefaly is connected magnetically to this electrode. Through this electrode it produces precise micro-pulses on the upper branch of the trigeminal nerve to treat migraine. Cefaly is intended for patients who suffer from frequent migraines, particularly when drug consumption needs to be reduced.